"we MAKE YOUR TRAVEL EXPERIENCE UNIQUE"
We at Arctic Timetravels DMC specialize in authentic Lappish outdoor activities during the day and Aurora Hunting tours during the night. All our products are designed to bring you the most authentic experiences possible. Our team is hand-picked and consists of individuals with a can-do-attitude, sports background, and a big smile to make your experience memorable! Swinging by our office, located conveniently at the heart of Saariselkä, might just brighten your day and lead to an adventure of a lifetime! 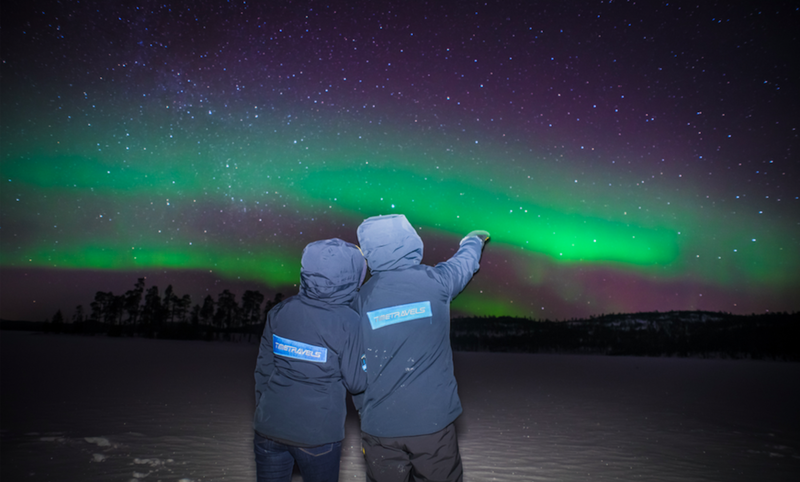 All our guides are professional "Aurora Hunters" and can answer all your questions about Auroras, Finland and the local culture. Get the most out of the great Lappish outdoors! We offer one-in- a- lifetime tours and Safaris!